Protesters have gathered outside the US Embassy in Beirut to protest Donald Trump’s unilateral decision to defy the United Nations and recognise Jerusalem/al-Quds as the Israeli capital. Yesterday, at an emergency summit of the Arab League, Lebanon’s Foreign Minister proposed sanctioning Washington for its stance. 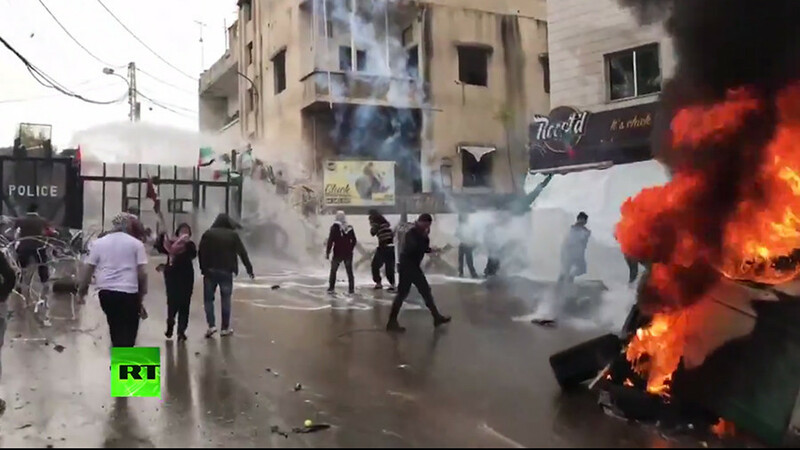 Clashes have broken out between law and order officials and angry protesters outside the Embassy as demonstrators set debris ablaze amid wafting tear gas.